Cerner Recruitment 2018 scheduled for the role of Software Engineer & System Engineer for Engineering graduates at Bangalore Office. The detailed eligibility and application process are given in below. Software Engineer role, you will be responsible for designing, developing, and testing our Web based Enterprise Collaboration platform. You will also be working with the business to interpret business objectives and to understand their requirements. 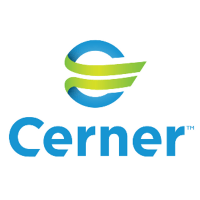 How to apply Cerner Recruitment 2018? Certification on Mainframe will be an added advantage. Willing to work additional or irregular hours as needed and allowed by local regulations. consoles on the mainframe systems and take corrective actions as needed. Additionally, you are also responsible to perform the first level triage to resolve the issue and or escalate the issues to the next level as needed. In this role, you will work for 12 Hours shift on 5-5-4 basis from 5:30 am – 5:30 pm IST handling Cerner Clients running on Mainframe.